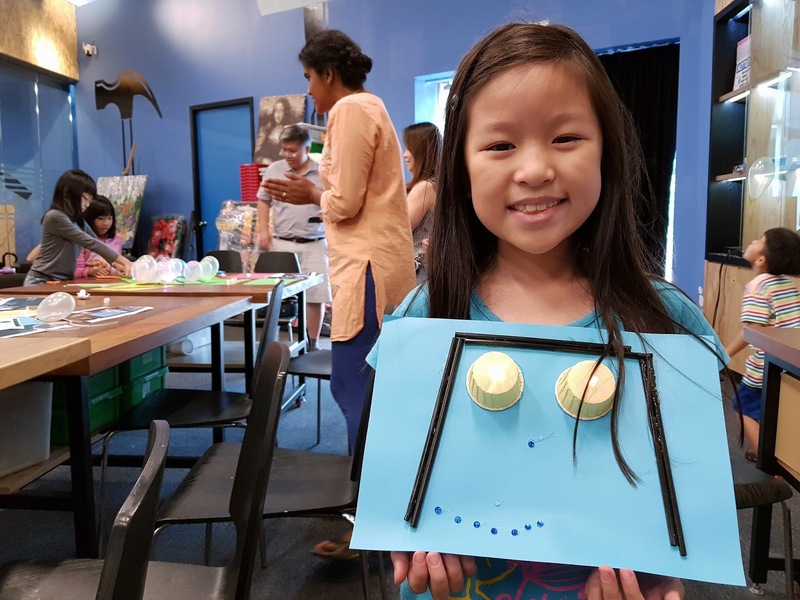 Although I go to the Science Centre a couple of times a year, it was always to visit KidsStop with the kiddos or for the exhibitions happening at The Annexe. It had been ages since I last visited the main exhibition halls and boy does it bring back memories when I revisited Science Centre yesterday with the whole family. 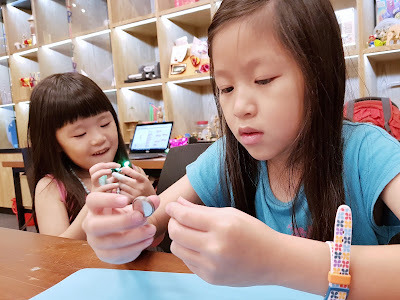 I can still vividly remember how much I loved touching the exhibitions, pressing the buttons and figuring out how they worked when I was in primary school! I had always loved Science, was always getting distinctions for it, and the Science Centre was just like a huge playground for me back then! 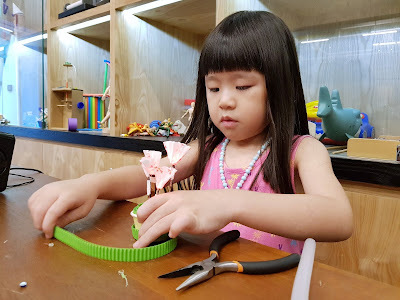 We were back to Science Centre this time round for a special preview of an interactive workshop that was supposed to get the kiddos better acquainted with Science, Technology, Engineering and Mathematics (STEM), but I ended up just as interested as the kiddos, if not more! During the session, the kiddos got to learn how about basic circuitry and how to make LED bulbs light up with copper tapes and a simple battery! 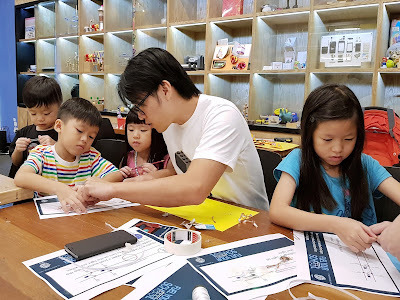 For adults, it may simply be how electricity and circuitry works, but for the younger kids, it was nothing short of magic as they watched the LED bulbs light up before their very eyes. 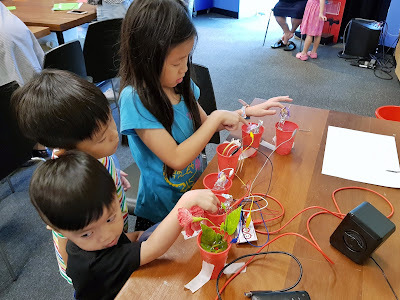 We were given instructions hand-outs that showed how one should arrange the bulbs and copper tapes. 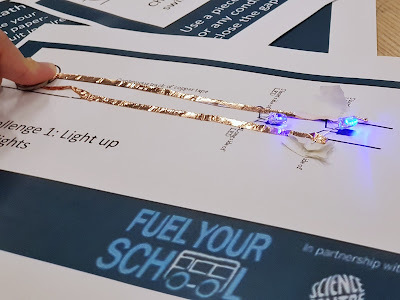 After we went about practicing how to make the circuits work and getting the bulbs lighted up, we were then allowed to unleash our creativity and build our own projects with all the materials provided. Well, since I was supposed to let the kiddos exercise their own creativity, I started on my own little project as well! Steffi did her interpretation of a robotic girl with blinking eyes! While Stacci decided to help me with my little project. Tadaa! 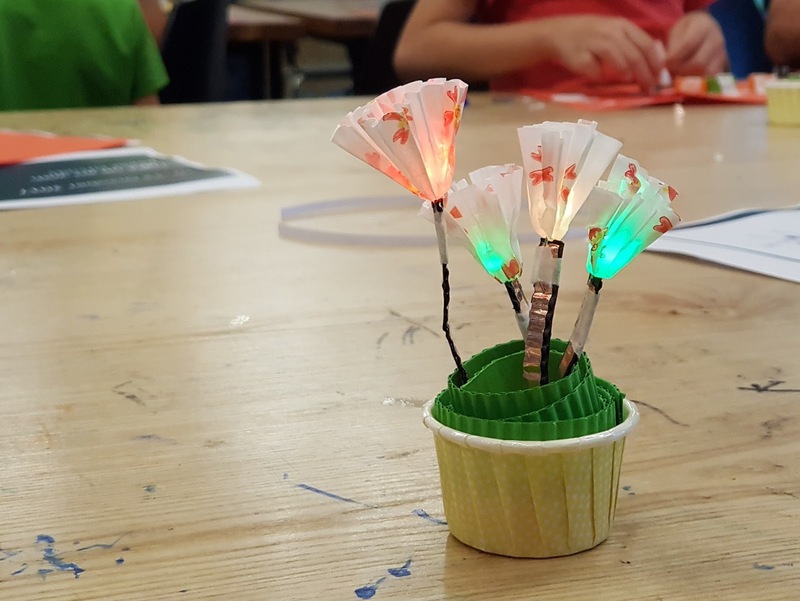 My very own little pot of lighted flowers powered by a single battery! Your child will also get to participate in this project, as well as others such as "Sewing with Electronics", "Programming with Arduino" and "Music with Makey-Makey" come 14 and 15 Oct 2017 at Science Centre Singapore. 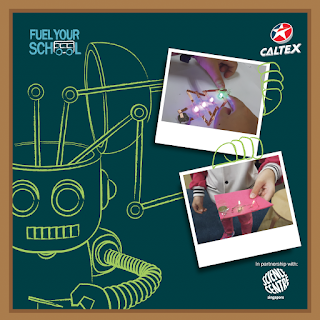 It is open to kids of all ages BUT you do get priority access if you present a recent Caltex fuel transaction receipt along with a Plus! card on a first-come-first-served basis. On top of this priority access, you will also get 20% off admission to Science Centre Singapore (valid till 31 Dec 17)! 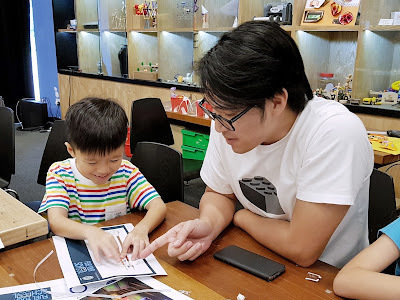 Thank you so much Caltex Singapore and Science Centre Singapore, for inviting our family over for this very educational and interesting workshop. I am confident that all those attending the open workshops on 14 and 15 Oct 2017 will feel the same way too! Caltex Fuel Your School - Tech Jam 2007 is an enrichment program organised by Caltex Singapore and Singapore Science Centre to spark curiosity in coding and tinkering among local school students. The program features free interactive workshops that aim to inspire students' passion for innovation and encourage creative thinking, while breaking perceptions of traditional gender stereotypes associated with the fields of STEM (Science, Technology, Engineering and Mathematics). Integrating arts and design with traditional STEM subjects, the projects available at the workshops were specially curated by Science Centre mentors for their simplicity, relevance to real-world applications and gender neutrality. 4) Comment in the Facebook post once done and tag your friends too! Winner to self collect prizes at Beach Centre, 15 Beach Road (near Raffles Hotel) during office hours.